Audi likes to introduce its models to the world a ways before they actually are made available in dealerships. Take the 2018 Audi Q5, for example. 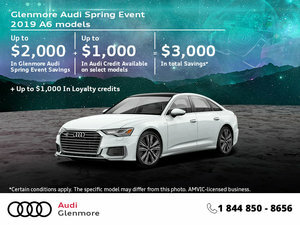 It will be arriving at Glenmore Audi in Calgary sometime in 2017, but the specs and information about the model are already out. We decided to take a closer look. The first thing you notice with the 2018 Audi Q5 is that it has a new design. The compact luxury SUV now features sharper lines and an overall more muscular silhouette that takes nothing away from its refinement, but certainly will help it stand out in a segment where the competition has trouble standing out. An available S-Line package will add 20-inch wheels while 18-inch and 19-inch wheels will also be available. The grill and LED-heavy headlights are where you notice the most change with the Q5’s exterior design. Inside, the new Q5 gets a redesigned dashboard, new infotainment system, new steering wheel and even more impressive materials. It also offers a bit more interior space compared to the current Q5. Yes, the design has changed somewhat, but the biggest change made to the 2018 Audi Q5 is without question the all-new Ultra Quattro system which will be standard on every variant. Audi’s Quattro system needs no introduction, and it is generally considered the best on the market. That said, Audi is always looking to improve, and if the Quattro system had one flaw, it was maybe fuel economy. That’s why Audi made the decision to switch from a permanently-engaged all-wheel drive system to a reactive system which will, under normal driving conditions, send its power to the front wheels only. The fact of the matter is that most of the time, we don’t need our four wheels to ensure traction and safety. It is therefore more than logical to disengage the rear wheels in order to improve fuel economy. On the other hand, the new 2018 Audi Q5 will continue to offer one of the safest and most sure-footed drives out there. The Ultra Quattro system is incredibly fast, and reacts before the driver has even felt the vehicle slip. Also, the system splits the power evenly when you turn the engine on. That means that when leaving a snowbank or taking off on a slippery surface, you will always have maximum traction without any hesitation. 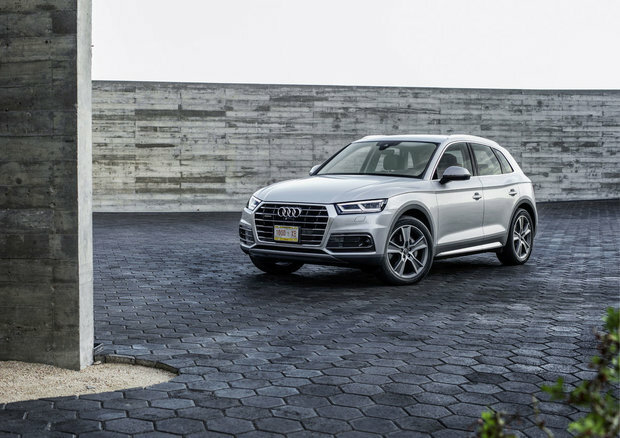 Ultimately, the Ultra Quattro system provides the same safety and performance benefits of the current Quattro system, but with improved fuel economy. The 2018 Audi Q5 will only get one engine at launch, a 2.0-liter four-cylinder turbocharged unit that delivers 252 horsepower and 273 lb-ft of torque. This engine is paired with the quick-shifting dual-clutch S Tronic seven-speed automatic transmission which is often considered the best in the industry. The Audi Q5 is Audi’s most popular vehicle worldwide, and the new 2018 model will certainly be an adequate successor to the current model. 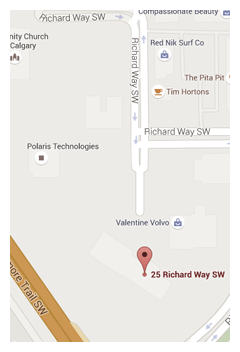 To learn more about the Audi Q5, contact us today at Glenmore Audi in Calgary!